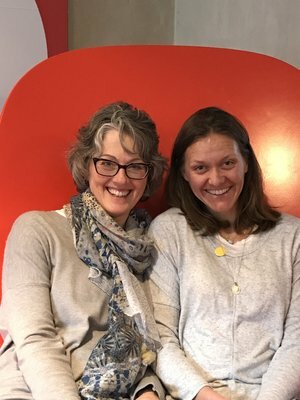 Founder of Blue Light Yoga, Georgia Reath, is teaming up with art historian Katy Smith Abbott to offer a dynamic and culturally rich experience in Tuscany. Join Katy and Georgia in the rural hills of Tuscany at Spannocchia, a self-sustaining 1100-acre organic farm committed to honoring and preserving the traditions of Tuscan living. 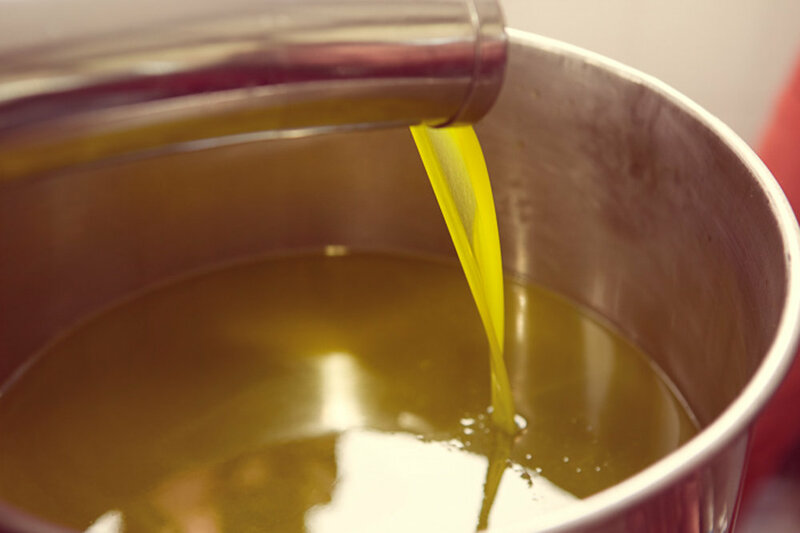 When you’re not flowing on your mat or taking in the Tuscan Renaissance, you will have opportunities to taste Spannocchia’s certified organic olive oil, wine and seasonal cuisine made with ingredients produced on the farm. One day you will participate in a cooking class that starts with a tour of the vegetable garden before moving to the kitchen to create a 3-course Tuscan meal. Another day you will take a tour of the estate’s meat production process (which includes a tasting of their award winning salumi). And there will still be more opportunities: perhaps you will find yourself exploring the estate’s carefully managed forests and hiking trails… Or maybe you’ll rent a car and head to Florence for the day… Or maybe you’ll rent a bike with a friend…. Or maybe you’ll take an Italian class… However you decide to spend your day, you’ll end it full and ready to do it all over again tomorrow. Cost Includes: accommodations*, all meals except Saturday dinner; all wine listed in meal descriptions below, 1 daily vinyasa class, 1 yoga workshop, 3 art history classes, 2 day trips to Siena and San Gimignano (with stop in Colle di Val d’Elsa), museum fees, afternoon of wine tasting, visit to nearby monastery, cooking class, salumi tasting, roundtrip airport transfer, and Friends of Spannocchia membership (see note below). Every Spannocchia visitor must be a current member of the Friends of Spannocchia non-profit organization. *A non-refundable $600 deposit will hold your spot. You may send a check to Blue Light Yoga at 290 Bridge Street, Hamilton, MA 01982 or pay via Venmo. Full payment is due 6 weeks prior to departure on September 13, 2018. Nestled in the Tuscan countryside, and surrounded by important medieval hill towns, Spannochia offers us a base for exploring the ingredients of Renaissance art: materials, training, patrons, and—of course--the artists themselves. 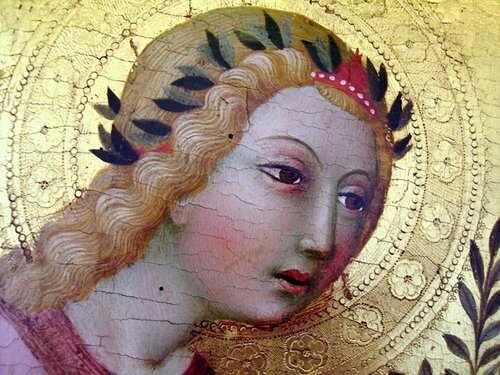 Art produced in Tuscany between 1350-1500 was almost always functional in nature, and artists such as Simone Martini, Ambrogio Lorenzetti, Sano di Pietro, and Ghirlandaio understood their art as a craft, not a calling. 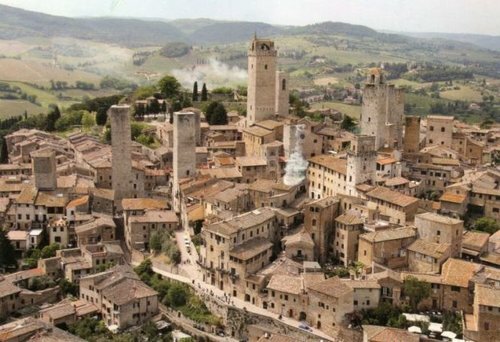 Our walks and museum visits in towns such as San Gimignano, Siena, and Colle di Val d’Elsa will bring to life our discussions of Renaissance artistic production, and will deepen our understanding of the way art could serve to enhance piety, advance prestige, protect city-states, reinforce gender ideals, and much more! Katy Smith Abbott has taught in the Department of the History of Art and Architecture at Middlebury College since 1996. 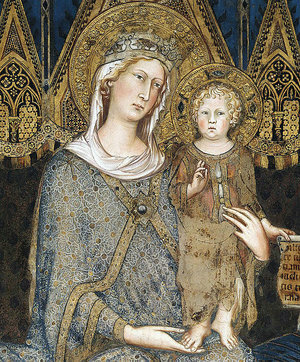 Her research areas include devotional painting in early fifteenth-century Florence and portrait painting in Renaissance Venice. Katy received her M.A. and Ph.D. from Indiana University, and has led groups of students (both undergraduates and older adults) to Italy on multiple occasions. She served as Guest Curator for the exhibition, The Art of Devotion: Panel Painting in Early Renaissance Italy, on view at the Middlebury College Museum of Art in Fall, 2009, and at the Mount Holyoke College Art Museum in Spring, 2010. She is currently at work developing an exhibit on the human experience of awe. I have led many retreats over the years and am always struck by the growth and evolution that occurs in a group, on and off the mat. 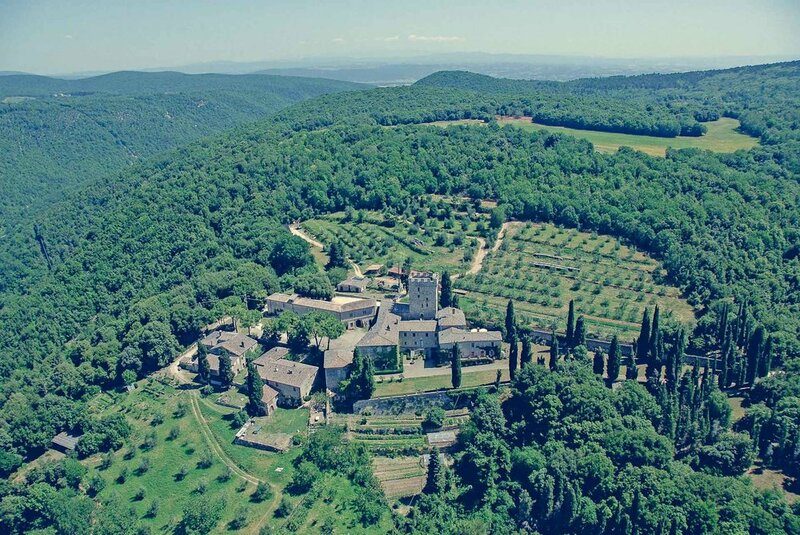 I am overwhelmed with how very special this upcoming retreat at Spannochia will be. The rich history of the land we will inhabit as well as the farm’s commitment to sustainability and conservation serves as a poignant backdrop for honing an asana practice that serves body, mind and spirit. In turn, the honed practice will ignite our senses in unimaginable ways that will allow the Tuscan art, food, wine and countryside to seep in deeper. And finally, on collaborating with Katy…we are SO lucky to have this opportunity. Katy is filled with knowledge, passion, and energy that is contagious and inspirational. THIS TRIP IS GOLD. Georgia Reath, a senior yoga teacher and creator of Blue Light Yoga has been inspiring yogis throughout NYC, Boston and now the North Shore of Massachusetts since 2006. After more than two decades training with teachers near and far in a myriad of disciplines, she has honed an authentic practice and method of teaching yoga centered on thoughtful, informed alignment; smart, fun and creative sequencing; and a very intentional balance between exertion and restoration. She teaches what she knows and shares what inspires her. Her classes are challenging yet accessible. She has taught at Wanderlust and Kripalu and led multiple retreats, workshops and teacher trainings. She currently teaches at Treetop Yoga in Gloucester, MA. (www.bluelightyoga.com). All bedrooms in the Villa are furnished with antiques and original family-owned furniture. The rooms have views of the Villa garden and valley below the olive and fruit orchards, and come equipped with fans. Guests staying in the Villa receive daily maid service, and bed linens and towels are changed twice a week. Villa #1 is a corner bedroom with two large windows overlooking the Villa garden, with a hand sink in the room and an adjacent private WC and shower. Villa #2 has a private bathroom with tub/shower. Villa #3 has a queen-size bed and a bathroom with a shower. Villa #4 is a large corner room, with a half-bath ensuite and a private bath with bathtub/shower in the adjacent hallway. Villa #5 is a large double or possible triple bedroom across from the library, with a full bathroom en suite. Villa #6 and Villa #7 are located down a private hallway and have large antique armoires and coffered ceilings. Villa #6 has a bath across the hall with a shower/tub. Villa #7 has a bath adjacent to the room with a shower. All meals (except Saturday dinner) are included in the cost. The kitchen is closed on Saturday night when we will be eating in Colle Val D’Elsa at a highly recommended restaurant. There is no reimbursement for meals not taken during the program. Please note Castello di Spannocchia cannot provide for special diets, but if there are vegetarians in our group, they can try to provide more non-meat options. Breakfast will be served between 9 and 10am following the morning vinyasa class. When remaining on-site lunch will be served at 1pm. Otherwise one can request a picnic lunch to take on a field trip, which can be ready in the morning. Afternoon snacks and coffee/tea will be available. Dinner is served family style and includes program participants, guests, residents, interns, and family members. All guests are asked to gather on the terrace for a glass of wine at 7:00 PM. Dinner begins with the primo piatto ( first course), a pasta, soup or risotto made with seasonal vegetables or meat. The secondo piatto (main course) is a meat, usually pork, beef, venison, or chicken, served with a contorno (side dish) of seasonal vegetables from the Spannocchia vegetable garden and insalata (green salad) that can be dressed to taste with Spannocchia- produced olive oil and vinegar. Dolce (dessert), panna cotta, tiramisu, cantucci, and vin santo for example--is served at the end of the meal. Bread, wine, and water are included in the meal as well. On Wednesday evenings Spannocchia has special dinners, alternating each week between Pizza Night and Nostra Cena (Our Dinner). Both are Spannocchia-wide events and weather permitting, eaten outside. There is a shared telephone and a wi-fi hotspot available, but these services are shared by all guests so we encourage everyone to limit their time spent on the telephone and internet. Washing machines and dryers are available for doing laundry for Euro 3 per load. Florence is the closest airport to Spannocchia. We encourage you to buy your airline tickets early. Currently flights from Boston and New York City are under $1000. We will coordinate a van to pick you up in Florence and bring you to Spannocchia on October 25 and van to bring you to the Florence airport on November 1. Once you have purchased your flights, please forward your itinerary to info@bluelightyoga.com. It may make sense to explore flights into Rome or Pisa but take into consideration that these airport transfers are not included in the price. Make sure to check your passport and ensure it is valid—it cannot be expiring within 6 months of your arrival date. There will be a yoga class in the late afternoon on our first day before dinner. On our final day, breakfast will be served between 8 and 10am. For those participants hoping to spend a few days in Florence at the end of the program, Katy is very happy to offer advice on museums and other historical sites, shopping, restaurants, etc.